Since baby boomers started hitting retirement age in 2011, the S&P 500 stock index is up 91 percent—and that bodes well for the wealthiest generation in U.S. history. Market performance, especially just prior to and in the early years of retirement, is a major concern for anyone planning to live off a nest egg. If stocks crash early on, retirees are left in a hole they can’t fill with earnings from a job. But if stocks boom—as they’ve done recently—retirees find themselves with better-than-expected returns. 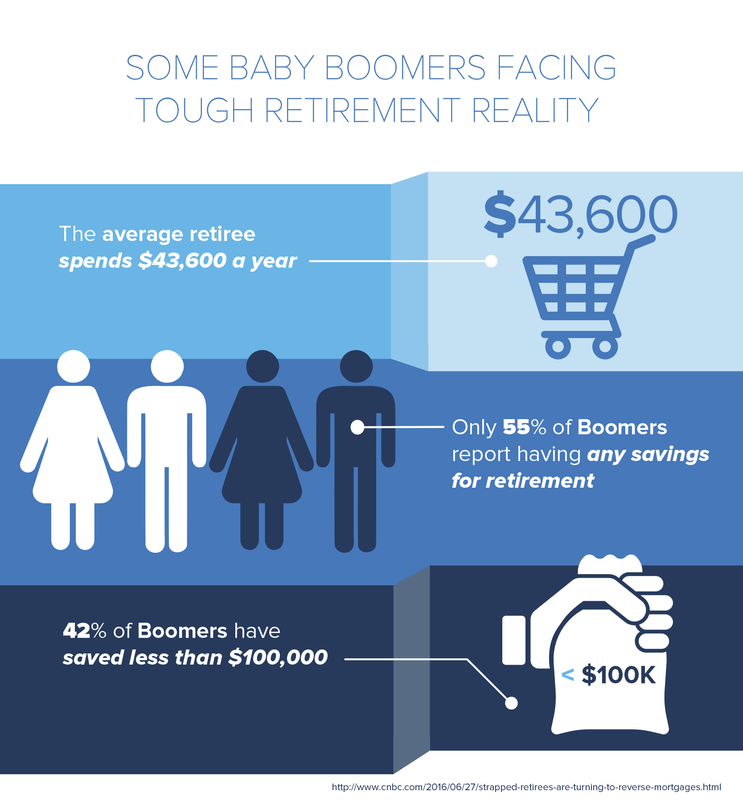 Additionally, boomer retirees—especially wealthy ones—are proving to be cautious spenders. A recent study1 in the Journal of Financial Planning found that retirees with higher levels of assets are often living below their means, spending anywhere from $3,000 to $50,000 less than they could each year. Retirees in this group are actually seeing their nest eggs increase each year. The conservative approach is not unjustified. Retirees could face high medical bills in their later years or require expensive long-term care. A market crash or high levels of inflation could also damage nest eggs. However, researchers found that wealthy retirees might be leaving too much on the table. The wealthiest individuals could forgo as much as $1,165,000 in spending over a 30-year retirement period. This is a reserve more than able to cover average medical expenses and downturns, should they occur. But not all retirees are well off. The same study found that low- and middle-income retirees are often spending all of—and sometimes more than—they take in each year, usually from pensions, Social Security, and other annuitized options. The cause of retirees’ reluctance to spend is caused by fear, failure to plan, and a lack of confidence in pre-determined drawdown strategies. For many boomers, meeting with a financial advisor could help them better enjoy the boom times without fear of going bust. 1. Browning, Chris, Tao Guo, Yuanshan Cheng, and Michael S. Finke. 2016. “Spending in Retirement: Determining the Consumption Gap.” Journal of Financial Planning 29 (2): 42–53.